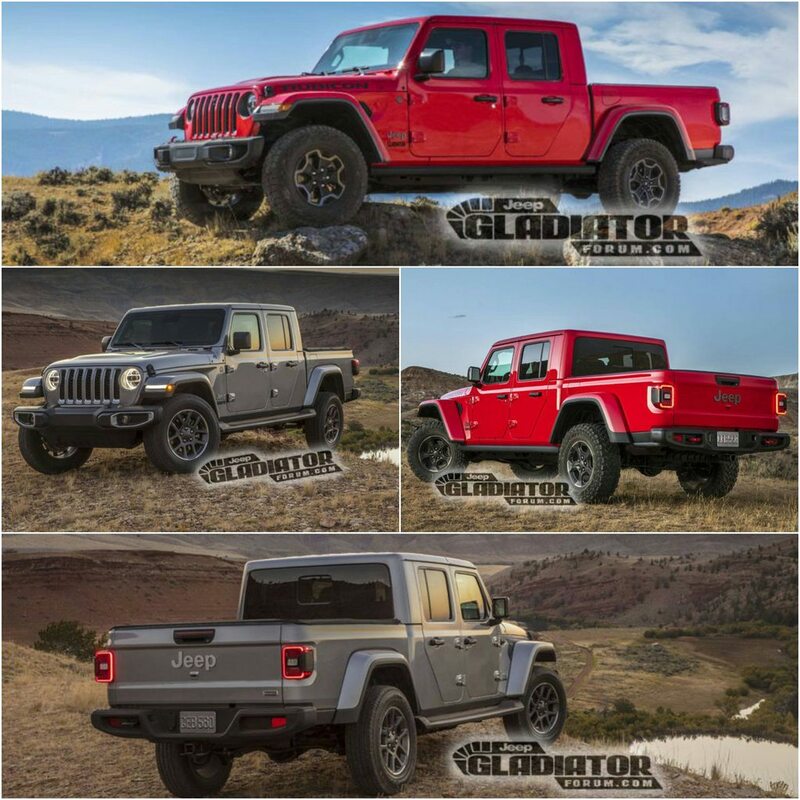 It was expected to be named Scrambler...I cannot stand the Gladiator name, not that I would buy one. But I expect it to be a tremendous success. But its a long one. 5 foot bed only . i mean its wow long. And those normal wheel looks like they too small for that long car . larger more agressive looking muds and it would look much better. Wonder will they have hard top for bed. Would become nice overlanding car. Just cover that bed with hard top same height and put large roof tent on it. You could make many things from that not just use as truck. 5' is standard short bed in the US market. Nothing less would do. Perfect for a mid-size pickup. The full size trucks have beds that are 6-8ft long. The tires are 33", plenty big enough. It can also accommodate 35" tires with no mods, even to the spare tire location. The frame is different from that of the Wrangler and so is the rear suspension. It will sell extremely well. It is, however, very long (both as wheelbase and overall length) so it would have issues on many trails in the SW but I doubt most owners will care about those anyway. when i look at it with those larger tires i like it. but not version with those smaller ones. and they will be rubicon level too with rock track and super low gear all lockers and such. i mean this would be amazing. even that is long. I agree. Their big problem remains the same as always. You never know when a Jeep will just crap on you for no fault of yours. If you look at the problems section of the JL forum, you can get an idea. It is truly disappointing. And people say Subaru make ugly cars. Last edited by Ben Up North; 3rd April 2019 at 07:39 PM. That's such a long wheelbase. But hey, people may still buy it. I remember people were skeptical of the LWB Wrangler until a huge majority of the buyers chose it.